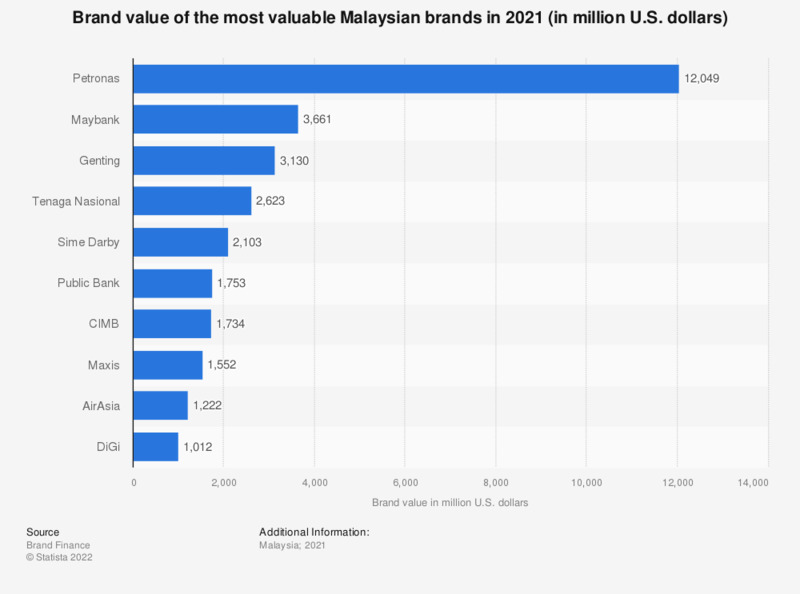 This statistic presents the brand value of the top ten most valuable Malaysian brands in 2018. In that year, Maybank Bank was the second most valuable Malaysian brand with an estimated value of about 3.16 billion U.S. dollars. Petronas was the top ranked Malaysian brand with an estimated brand value of about 11.5 billion U.S. dollars in 2018. Everything On "Brand Value" in One Document: Edited and Divided into Handy Chapters. Including Detailed References.